After writing no less than eight books upon pirates, Breverton has returned to the subject with three new books devoted to the Welsh Pirates and Privateers. Black Bart Roberts from Pembrokeshire was by far the most successful pirate in the Caribbean and Atlantic waters, and Admiral Henry Morgan was the greatest privateer of all time, leading six successful expeditions against the most powerful country in the world. 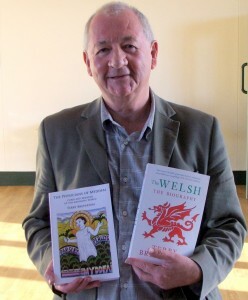 More books by Terry Breverton published by Cambria Publishing. Ar ôl ysgrifennu dim llai nag wyth o lyfrau ar forladron a phreifatwyr, mae Breverton wedi dychwelyd i’r pwnc gyda thri llyfr newydd ar Forladron a Phreifatwyr Cymreig. Posted in Events, News, Terry Breverton and tagged Sponsorship.